Spirituality, inclusion, innovative health improvements, harnessing technology and hen power are just some of the diverse range of programs recognised with a Better Practice Award this year. City of Burnsides Targeted Mens Social Inclusion Program provides older men with a broad range of options about how they do their socialising. The 28 Award winners from across Australia were announced at the Australian Aged Care Quality Agency’s Better Practice conference by Quality Agency chief executive officer Nick Ryan last week. “The Better Practice Awards are an ideal opportunity to highlight the positive programs in action for older Australians, and to reward staff, management, clients and organisations alike for the hard work they do,” Mr Ryan says. “All nominations are assessed by an independent panel against nomination selection criteria including a focus on quality of care and quality of life outcomes for consumers. The Salvation Army Aged Care Plus’s ‘spirituality - not just religion’ program attracted the attention of the judges for its spiritual assessment and care planning approach with residents at Pacific Lodge Aged Care Plus Centre on Sydney’s northern beaches. 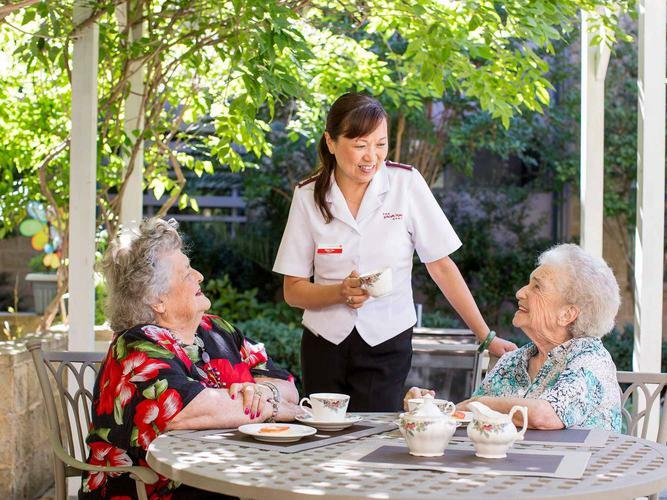 Karen Noble, The Salvation Army Aged Care Plus Acting Chief Executive Officer explains: “Our spiritual care planning has resulted in a deeper connectivity and relationship with our residents. “We are not only caring for the physical aspects of ageing, but also ensuring the psychological, social, emotional and spiritual needs of our residents are being met. “Spirituality is unique for everyone, and even those with non-denominational connections can still have their own spiritual journey,” she says. Ms Noble says the key innovation was meeting and understanding the spiritual needs of residents, which provided keys to all other interventions associated with activities of daily living. “The approach is a completely opposite view of the medical model and is not often seen within person centred frameworks currently observed in the aged care industry,” she adds. The result is an increased overall resident satisfaction, reduction in discharges due to improved wellbeing of the residents, increased emotional awareness and connectivity and resident contentment. City of Burnside’s Targeted Men’s Social Inclusion Program moves beyond the ubiquitous ‘Men’s Shed’ model of social inclusion, acknowledging not all older men are ‘blokey’, like to work with their hands, or even enjoy socialising in a ‘shed’ environment. By offering a broad range of options, including a highly successful Men’s Shed, the program provides older men with choice about how they do their socialising. 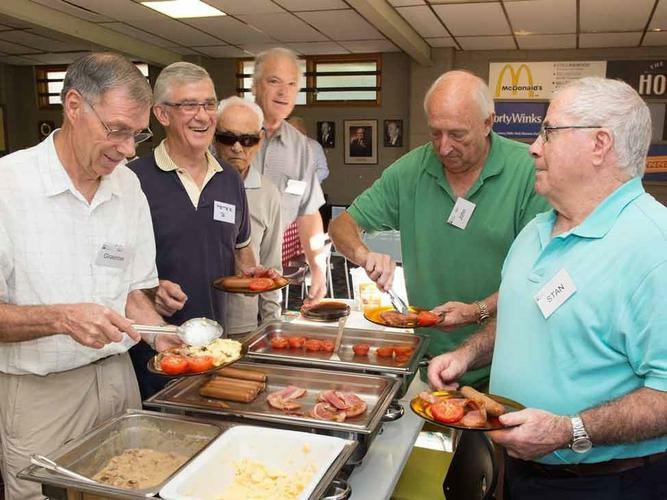 Key elements include weekly Men’s Breakfasts, fortnightly Gent’s Day Out bus trips, Men’s Cooking Classes and a Men Only group in a Respite, Recreation and Revitalisation Program. Other male interest activities are specifically included in ‘Come and Try’ health and wellbeing programs. “The City of Burnside is pleased that our specialist range of Men’s programs has been recognised with this Award. Our program provides older men with broad choice of social activities and, by including participants in program planning, empowers them to create their own opportunities,” says City of Burnside General Manager Louise Miller-Frost. One user of the program described how the need to shower, dress and shave to attend the Men’s Breakfast program each week had a direct impact on his mental health – and now he makes an effort to do this on other days even when he isn’t going out. Recognised for its falls prevention program, Mercy Health’s FIT for the Future program has resulted in a marked reduction in the number of aged care residents having falls and in the severity of falls. Mercy Health General Manager of Quality Susan Blackbourn says research indicates that more than half of all people living in residential aged care homes will have at least one fall each year and half of all falls in aged care will result in a serious injury, including fractures. In 2012, Mercy Health introduced a new Falls Indicator, and developed and implemented a Falls Investigation Tool (FIT) to be used each time a resident had a fall. This document gathered data on not just the mechanics of the fall but potential causes (medication changes, toileting issues, footwear being worn etc.) as well. A Falls Data Sheet was also put in place to track each resident’s falls risk in real time. Ms Blackbourn says as a result of using these three new tools, together with targeted education of staff, there were 408 fewer falls across eleven homes during a two year period. The full profiles of the winning programs can be found at www.aacqa.gov.au.